Forests aren’t just patches of greenery waiting to be ravaged. They’re not canvases meant to be “painted” with concrete and establishments. It’s a home to flora and fauna, the living things that are probably more important than humans to sustain a balanced ecology. And in the case of Baguio City’s last pine tree park at the central business district, it houses 24 types of birds, and grassland animals and worms, according to Inquirer.net. But greedy capitalists don’t care about that, do they? There are speculations again that companies are eyeing to buy the 1.4-hectare tree park, which they’d turn into a condotel or a car park. This is the park beside the Baguio Convention Center and in front of the University of the Philippines (UP). It’s owned by the Government Service Insurance System. This is why grade school students at the Baguio Pines Family Learning Center went to the office of the city mayor on Jan. 28 to ask the mayor to help them send their letters to President Rodrigo Duterte. “Dear President, please do not allow them to cut our trees here in Baguio. This is for our future. I love trees,” writes one student, according to the Philippine News Agency. 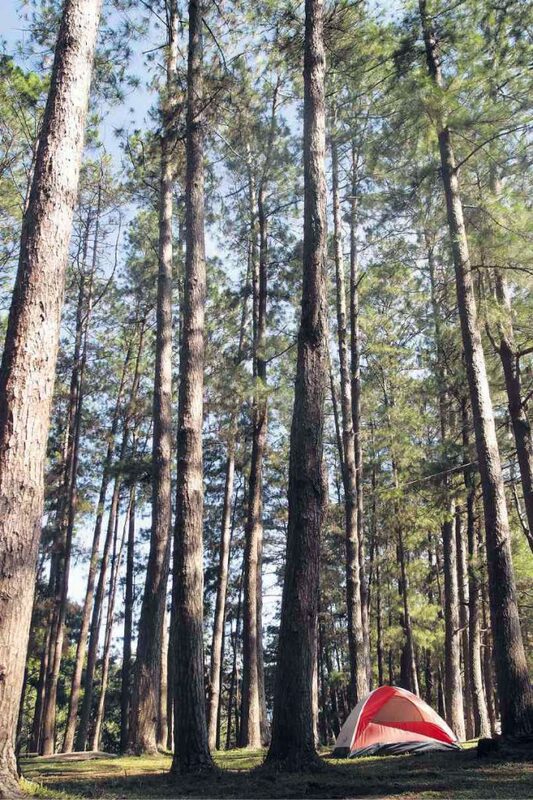 In 2008, environmental activists, and students from UP and other schools in Baguio formed a human chain around the tree park, protesting against a condominium developer’s plan to lease it. The city government listened and refused to issue permits for developing the park. Ten years ago, former president Gloria Macapagal-Arroyo heeded the outcry. We hope the Office of the President listens, too. We don’t need more soulless structures and establishments in Baguio.